hd00:59A Well-camouflaged WILD Leopard (Panthera pardus) lies motionless on the grass at Lake Nakuru in Kenya, Africa. 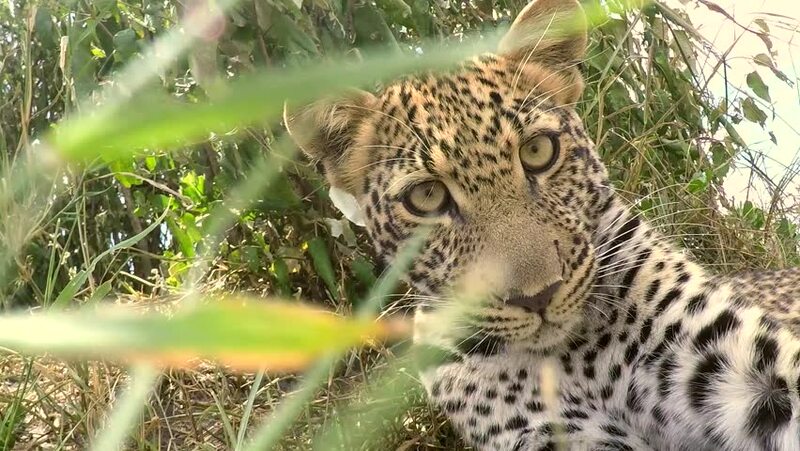 The Leopard is unaware of my presence as I film from a blind high in a tree. hd00:11An older leopard cub finds and carries a leg bone dropped by his mother in the Masai Mara, Kenya, Africa.